Members of Dcalk from Paris & Brussels gathered for an extended week-end to visit our Dutch neighbors : feedbacks on the first step of the LudoBox Tour 2015. 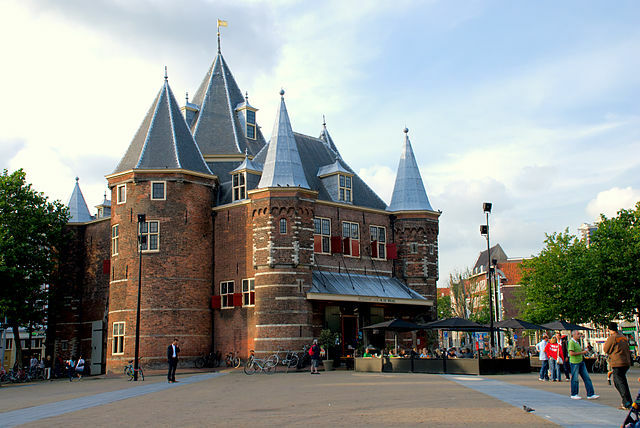 Almost opening a drawbridge, here we are in front of the little castle of the Waag Society hosting the Fablab Amsterdam, first one in Europe. It was in 2008, the pre-history of the era of « How to make (Almost) anything » . Robin van Westen, met in Marseille last October during IdeaCamp , warmly welcomes us starting with a guided tour of the prestigious building. The first fablab in Europe is also the « oldest non-religious building still standing in the city » : built in the 15th century as a gateway part of the city’s fortifications, it has been reconverted two centuries later into a « Weight House« (weighing station for vehicles, animals, goods). 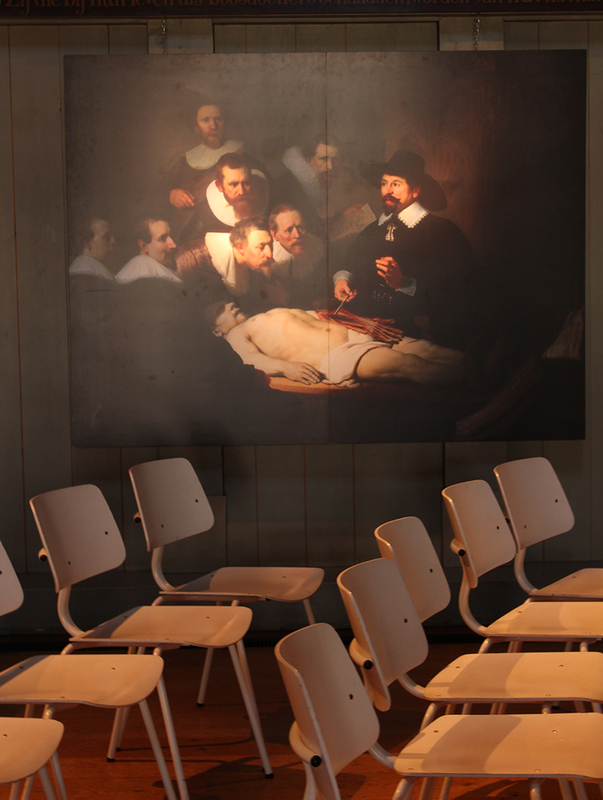 Empty rooms of the house used to host several guilds to experiment their art, like surgeons and their anatomical theater, immortalized by Rembrandt in his Anatomy Lesson of Dr. Nicolaes Tulp painted on site (today remains a copy) . Testing over time various functions (fencing hall, fire station, city archives, historical museum etc), it is as an Institute for Arts, Science & Technology that the place seems to have fully found its identity while renewing the spirit of the past, welcoming new guilds: biohackers (Open Wetlab) makers (Makers Guild), designers (Open Design Lab) and other artists- teachers-researchers (Waag Academy) . The new guilds : designers, makers, developers, etc. 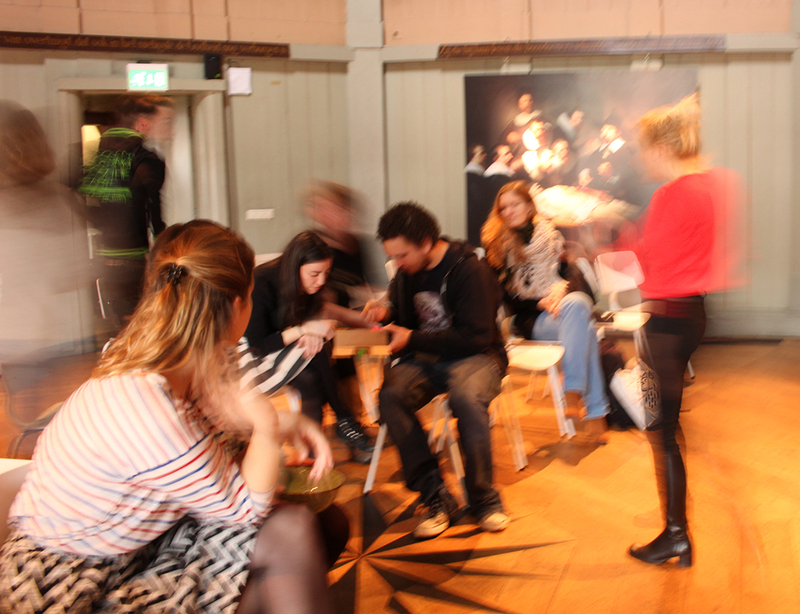 Current practice at the Waag, the « lunch-lecture » (light talk during lunch break), Robin invites her colleagues to join us at the Anatomical Theatre where we plugged a Ludobox. Presentation of the association and our idea – how we have transformed the Dark Toy Library & the Digital Mobile Fabrique into a new mediation device – mobile, low-tech, offline : the Ludobox. The demo opens a dynamic exchange with Robin‘s colleagues, most of them having great experience of projects with playful components . We’re really happy to inspire Karien, working on an educational program Crypto Games for kids, to use a PirateBox as a sharing device in classrooms, and extend the discussion with Cecilia Raspanti on the potential of board games creation for their Fabschool . After the Waag, we go straight to the European Cultural Foundation to meet our funders (LudoBox is supported by ECF through their new R&D program), a rare situation that makes sense knowing ECF team are keen to learn from « Idea makers ». It is also a way for Dcalk to keep on promoting board games as a cultural objects and more than ever at the crossroads of innovative practices. Charles Beckett, freshly arrived at ECF as R&D Program Officer, understands pretty well our speech, having worked 10 years for the Arts Council in UK and written in his last months a report about games & culture and prospective policy and fundraising to consider. It is encouraging ! 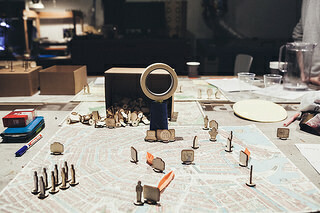 The next day we go north, up to Leeuwarden, to visit the Frykslab team. Why were we so curious to meet them? 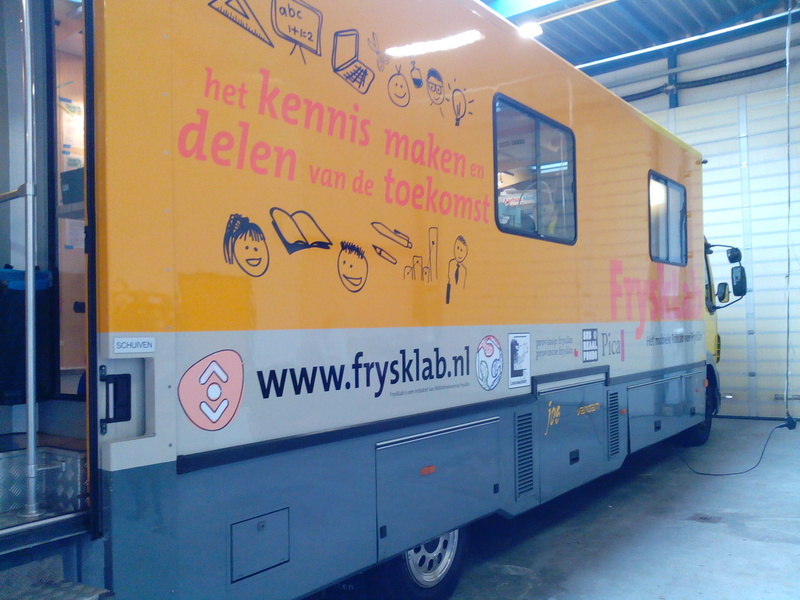 The fablab of Leeuwarden is an initative of the Innovation Service of the Public Library AND it has been designed as a mobile space in the manner of Bibliobus which travel(led) across cities and coutryside to share and loan books. Jeroen de Boer, Aan Kootstra and Bertus Douwes welcome us in the administrative building of the library where the truck is parked, and offer us a coffee inside. 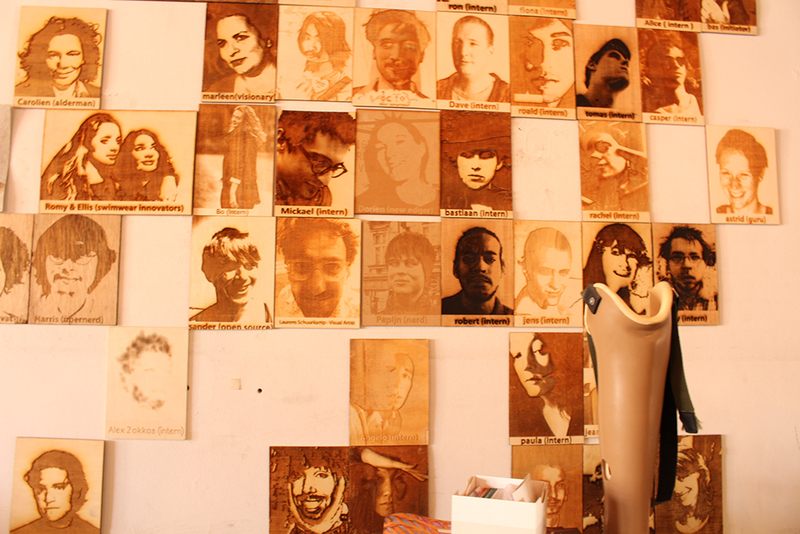 We exchange on our respective projects, including their recent Maker Tour  in Europe. The three of them y are very receptive to the project and quickly we start to discuss opportunities to collaborate on a LudoBox adapted for Frysklab. 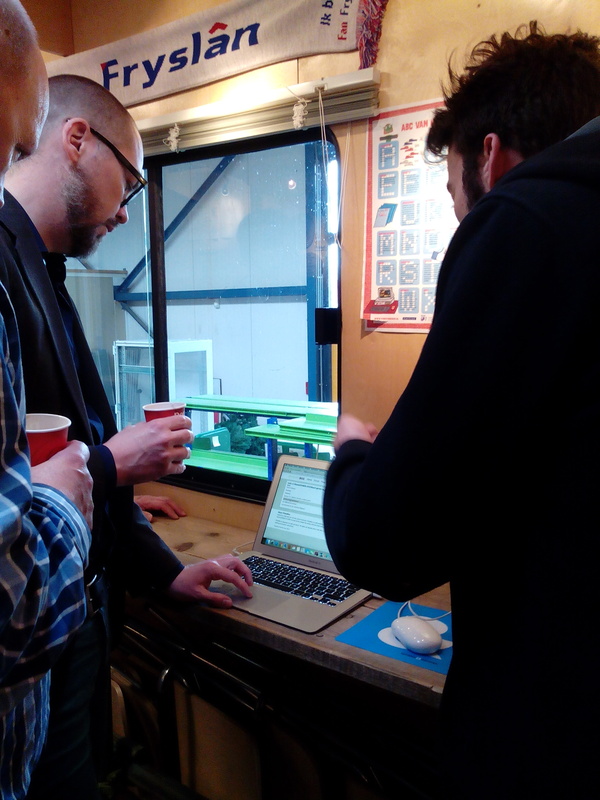 The mobile lab should hit the road again to Brussels in June… stay tuned ! The only photo we share, in respect of the hackathon’s participants. Last step in Ghent, where we join for a day the hackathon « Co-design Climate Games »  organized by The Laboratory of Insurrectionary Imagination, GroenFront !, Climate Express and Multimedia Design KASK Ghent. The principle: to gather gamers, activists, designers, developers during 5 days to imagine a desobediance action / street games for the upcoming Climate Summit in Paris, in December . It allows us to share some ideas of the hybrid use of an offline network for a Climate Camp : a shareable as well as a game element hidden in the city. Wink to John & Isabelle of Labofii who will be in Nantes in a few days to continue the series of Climate Games hackathons hosted by PiNG . 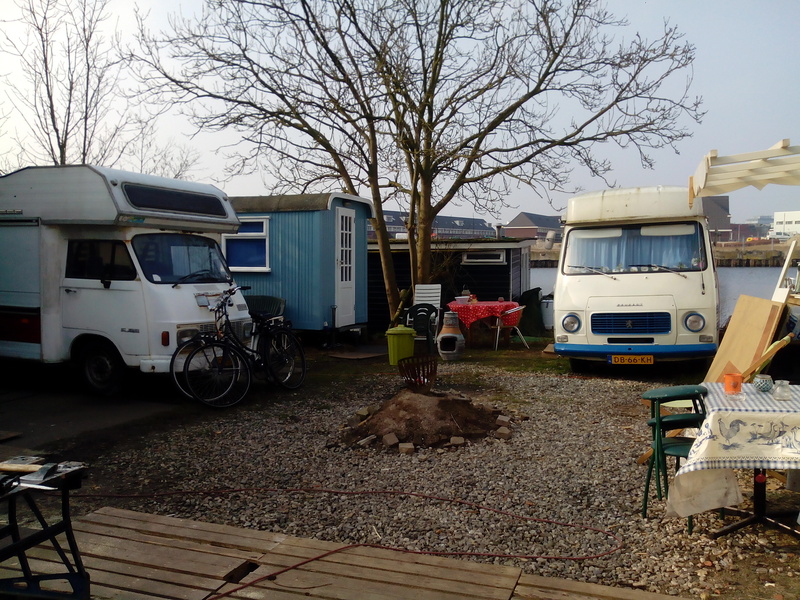 Can’t finish this article without mentioning our Airbnb Host Maik and his « Amsterdam Camper Experience ». We choose to stay on the north side of Amsterdam to enjoy the ferry+ bike combo every day and check by ourselves how this former shipyards area is booming : hipster smell with a hippie-Wagentplatz touch (we slept in campers). Maik arranged a comfy living room for its guests, we spent time at the fireplace discussing about things we do with passion. Maik get quickly interested by the PirateBox, understanding its handy use to share practical info with passing guests and broaden its board games collection with a LudoBox. We leave with the idea to come back in summer and propose a PirateBox/LudoBox workshop at Maik’s place and probably some other connexions with the next Climate Camp / Climate Games to be held in Amsterdam in early July. 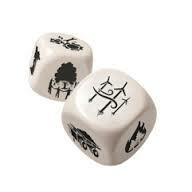 Some exemples : Board game for smarter city, Gps serious gaming, Storybox Gate, Fortification game, Mobile learning game kit.